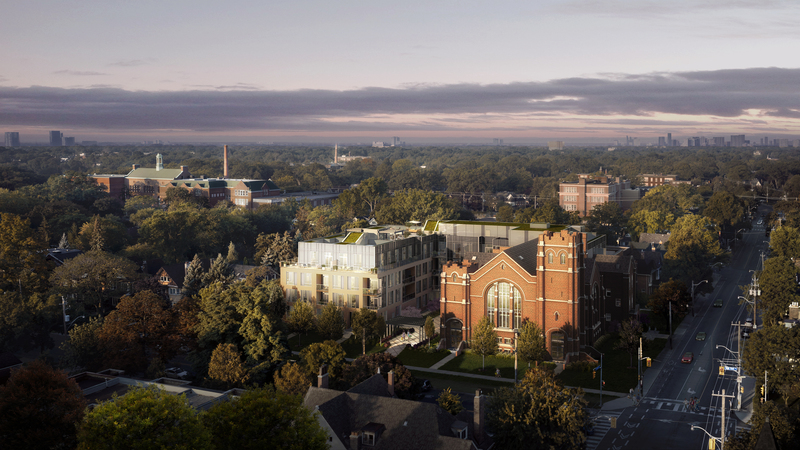 Formerly a church, this unique heritage project achieves the client’s objective of creating a prestigious boutique condominium development at an exclusive landmark address. 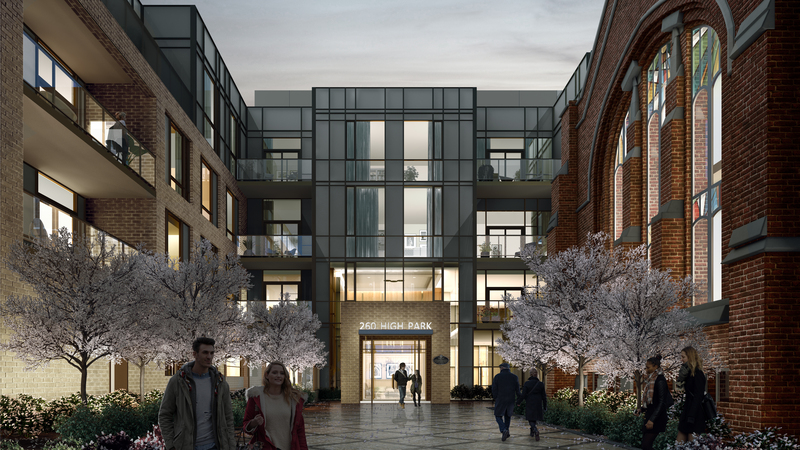 The 260 High Park development combines historic details with contemporary urban architecture, offering a variety of condominium and townhomes options. Located in an established community West of Downtown Toronto, the building is designed for residents ranging from younger families to empty nesters, who will appreciate the high-level amenities and convenient location of the project. With a historic church being the focal point of the development, an addition stands at 4-storeys, with clean forms and neutral materials to allow the heritage façade to take center stage. A number of features were incorporated into the design, including inset balconies, and terracing at the upper floors in response to the neighboring single-family homes and community feedback. The portion of the project along the High Park Street frontage is comprised single family townhouse units at grade, with unique entrances, to mimic and compliment the rhythm of houses along the avenue. The team at Turner Fleischer have paid extensive attention to detail throughout the development of this project, and have been leading the marketing and heritage aspects, including working with City and Heritage Services for approvals. We will continue to coordinate the church repurposing to ensure all details of the design are realized through this projects implementation.